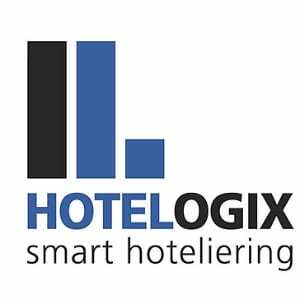 Hotelogix, a cloud-based Property Management System provider has announced the success of its recently launched Hotel PMS year-end offer. According to Hotelogix, under its ‘Lock now & use later’ plan, scores of independent hoteliers from around the globe have signed up to avail the offer by paying a small lock-in amount of USD 250. Hotelogix had launched its ‘Lock now & use later’ in November this year. The company aims to technologically empower independent hotels across the globe by offering them its award-winning cloud-based PMS at half its price. Under this plan, hoteliers just need to pay for 6 months to avail 6 months of free usage. According to the company, hoteliers who have already paid or want to pay the lock-in amount can immediately replace their existing PMSs with Hotelogix to ensure smooth operations during the upcoming high season. “We will help with a quick and smooth transition to our PMS for those who are ready to get started right now. However, those who don’t have enough bandwidth for the same, can lock-in now and start using the PMS anytime before 31st January 2019,” Aditya added. Expressing her views on Hotelogix offer, Karen Oquin, Director of Operations of 7 Oaks Lodge, Texas, United States said, “The earlier PMS couldn’t fulfil our technological requirements. That is the reason we were looking for a better option and we came across this offer from Hotelogix. The significant reduction in cost barrier has helped us take a quick decision to adopt Hotelogix PMS to stay competitive in the future.” Even, Eva Maro, Operations Manager of Planet Lodges, Tanzania too shared the same sentiment on this offer. Both 7 Oaks Lodge and Planet Lodges have signed up for Hotelogix PMS as part of this year-end offer. With Hotelogix PMS, hoteliers enjoy the freedom of working with several third-party solutions that are operationally essential including Channel Manager, Revenue Management, Online Reputation Management and Business Intelligence solution, etc. Hotelogix has helped independent hotels across the globe witness around 40% increase in their overall revenue comprising over 30% growth in OTA booking. Additionally, it has also helped them achieve zero overbooking and zero operational error.